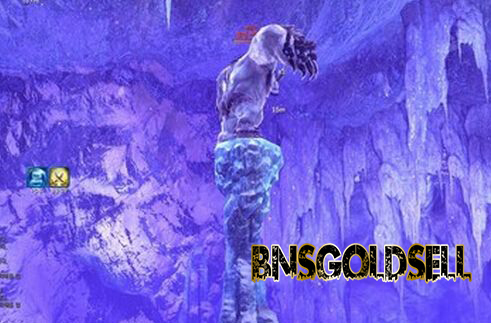 This is a guide for Blade & Soul Silverforest mountain new dungoen- Avalanche Den/Yeti Cave. I cut some screen cut for your reference. It is obvious the way to all bosses is narrow with lots of snow balls rolling down from the end of the road. You should do you best to clear the mushroom and avoid the snow balls on the way. There are 3 bosses in total in Avalanche Den. You can use snowballs to kick the first boss - Mighty Chubarro from his perch to defeat him. You must find an effective way to do damage to the boss and make him fall or get him down from his perch to allow your entire party to deal damage. For the second boss, you will come into a room full with mobs and the main boss of the room. If luckily enough, you might just go through and hectically deal with all of the mob and the boss. Or you can lure the boss and wait for him walking within the range then use a single target ranged skill to get aggro. The final boss is Angler Yeti which is one of the most complicated boss in Silverfrost Mountain heroic dungeons. Angler Yeti’s Hp is 10 times higher than that of Boss 1 and Boss 2. Yeti can go into fury phase in six minutes 50 seconds. Angler Yeti in Cold Phase: Yeti can stomp on the ground, causing an “avalanche” that drops stalagmites on the ground. 8 of these will drop to the floor and then Yeti will pull absorb these pools. After absorption, snowflakes will appear and Yeti will freeze everyone. Angler Yeti in Heat Phase:Yeti can jump to the center of the room and pull party members in, dazing them, and applying a “low temperature” debuff. After this, Yeti grabs the main tank if within range and apply a “heat” buff to them which will remove their “low temperature” debuff. Once thrown, the person will radiate “heat” from their body and then be leaped on by Yeti. The boss can grab you at the first and second Fire AoE. Don’t dodge it and you can get a buff. Make your party members come close to the buff so that you won’t get frozen. After that, every grab boss will jump 3 times. Then it will smash the ground and a place will appears with fire. Stand on it or you will get frozen. Then cancel the second jump after the Third Fire AoE. Control the hp at 31% at first Ice AoE, and 18% at second AoE. Step on ice or kill the mushroom and get the bomb to destroy them. Dodge the 2 types of jump. one comes 3 sec and another comes 1 sec, then you will be good. All these battles, you need a GOOD TANK in your party. As for now, Yeti Soul Shield is one of the best in Blade&Soul. When you kill all these bosses, you can get a fair amount of Blade and Soul gold with some other nice drops.